To provide a natural light in any type of building, we recommend a number of practical solutions. 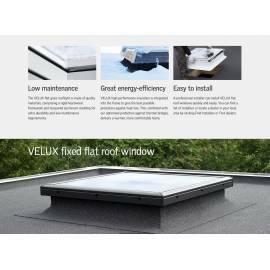 The Sunlux flat roof windows are a non-opening and double glazed option. High quality materials used for the construction of the frame and the implementation of new technologies, result in an excellent thermal insulation. What is more, the skylight's smart design makes them a perfect component, matching the bodies of modern, residential or industrial buildings. Also, they are very easy to install which reduces the initial costs. Moreover, the windows are triple-glazed, which enhances the energy efficiency and thermal insulation. 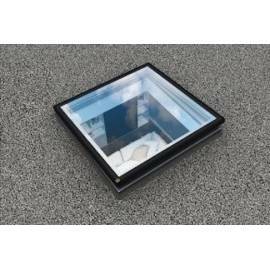 While the classic VELUX flat roof window comes with a dome, the flat roof plane glass model introduces a beautifully integrated 4 mm hardened glass pane. 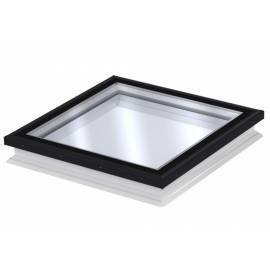 Inside, the newcomer matches all specifications of a classic VELUX flat roof window. Outside, the plane glass stands out as a stylish and minimalistic design feature with underlying black bordering and discrete profiling. 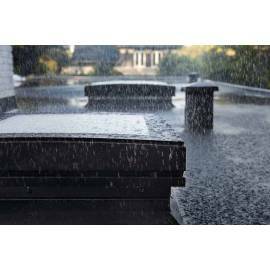 Our offer contains a variety of flat roof windows available to you in a number of shapes and sizes. 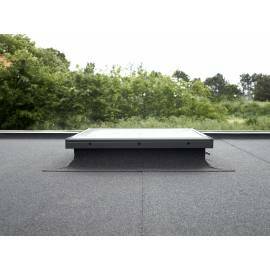 Using the latest technological advancements, all the skylights for flat roofs in our offer look good and possess great thermal insulation parameters, setting them apart from the competition in terms of quality and presentation. You should get it even on the next working day! There are a number of different ways that you can properly illuminate a building. 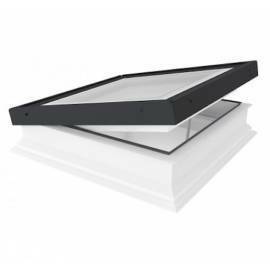 Among those practical solutions is the flat glass rooflight by Sunlux. This model is non-opening and utilises double glazing. Made using high-quality materials, the frame utilises new technologies for peak thermal insulation. 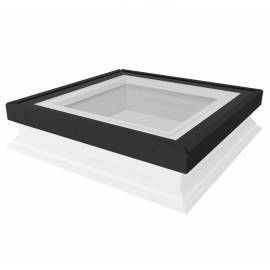 Thanks to its simple look, the skylight will fit in perfectly into any modern home or other building. 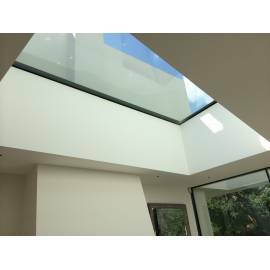 Fakro’s flat glass rooflights were designed with the construction sector in mind, aiming to provide people employed in the sector with a window that will offer maximum functionality. Not only do they guarantee maximum access to daylight, but they are also very easy to install and comes in three basic types: fixed, electric, and manual. Thanks to the triple glazing, energy efficiency and thermal insulation are at a maximum level. Thanks to the use of high-quality materials, Fakro can offer excellent double-glazed units with really good thermal insulation that also look very elegant. 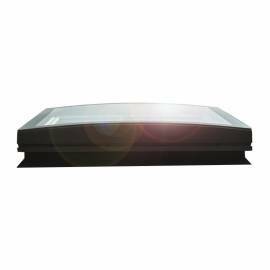 The flat roof window with a polycarbonate dome is one of Fakro’s most popular design that also offers top-quality anti-burglary protection thanks to the transparent thermoplastic. Industrial and residential buildings alike can benefit from Fakro’s joinery elements that make up the flat roof access escape window. Available with hinges on either the left or right side, Fakro’s escape windows boast a number of practical features, such as their large size, gas piston mechanism, a double layer of acrylic varnish, and many more. The durable, reinforced glass makes them a perfect security measure. 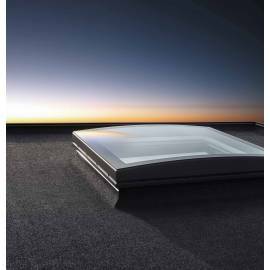 This model by Velux is an excellent choice if you’re looking for a slick, elegant solution, thanks to its 4mm hardened glass pane. 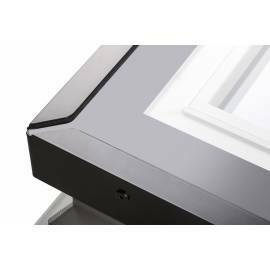 The inside of the frame contains the same robust mechanism regular Velux windows possess, but the stylish minimalist design is what really sets it apart from other windows.